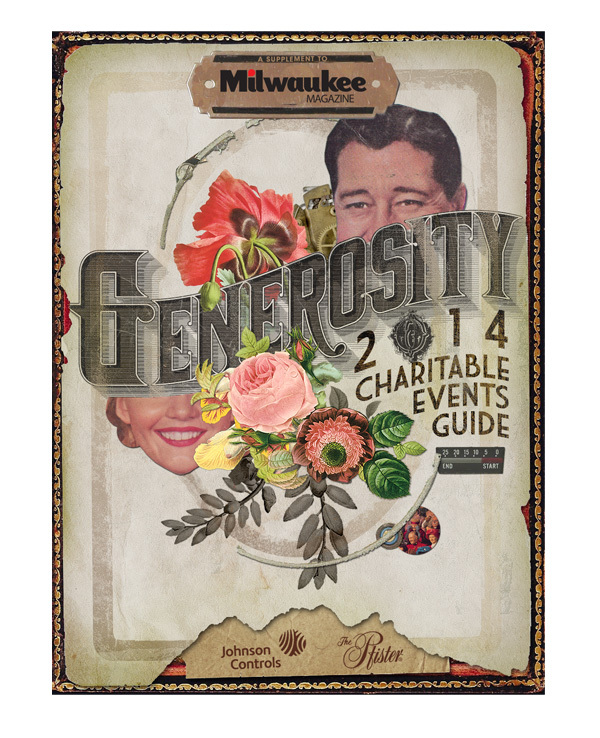 Represented by the Plaid Tuba and working closely with Linda Lundeen, Associate Publisher of the Milwaukee Magazine, we created a cover for their Charitable Events Guide that is strikingly different yet, honest and genuine. 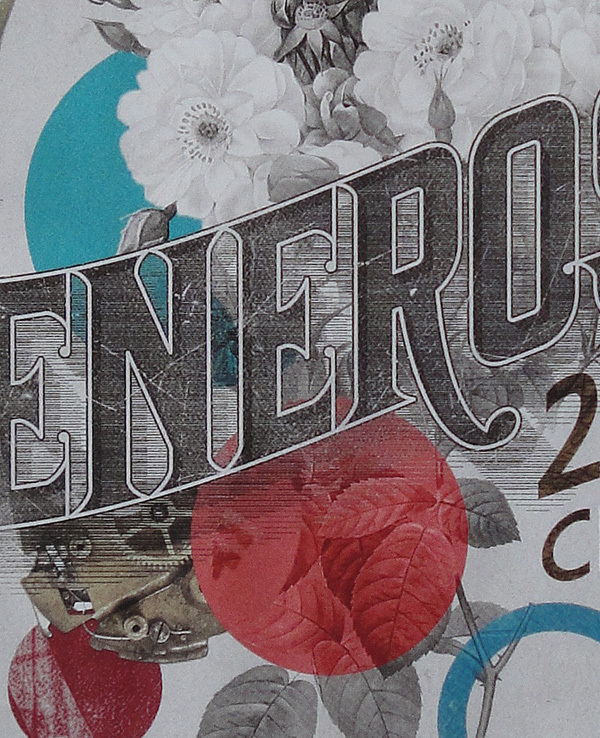 This piece was a primarily vintage inspired, illustrative typography piece, using a word taken from the spirit of the event to remind those donors what they are; generous. This is another piece in my new #VintageFuture body of work. 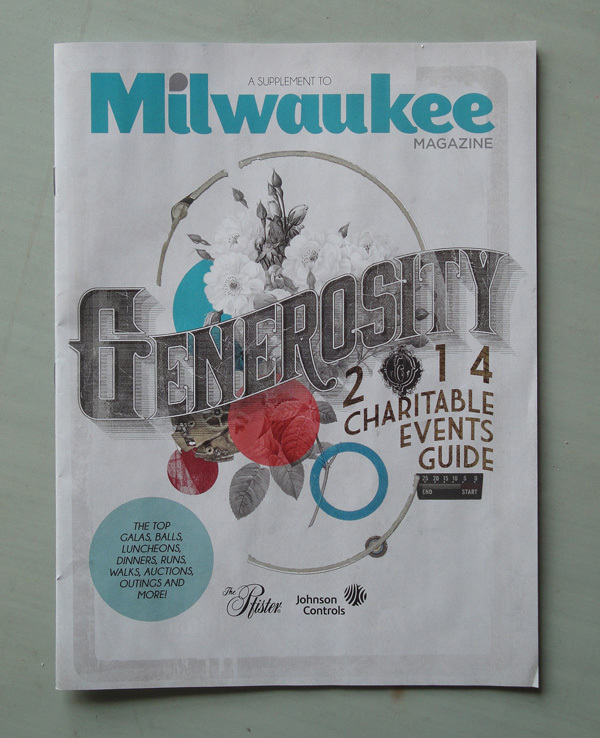 I also imagine that the cover visually reading, “Milwaukee Generosity,” was no coincidence. Nice touch guys! I also included one of the alternate covers we presented. I’m super happy with the way all the options turned out, and the final cover was my favorite, in the end.